On Sale Now! Free Shipping Included! 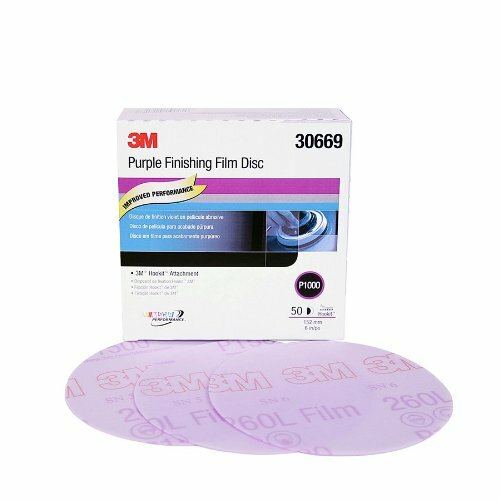 Save 8% on the 3M 30669 Hookit Purple 6'' P1000 Grit Finishing Film Disc by 3M at Lazaranda Dallas. MPN: 30669. Hurry! Limited time offer. Offer valid only while supplies last. Use for scuffing the blend area prior to painting. Remove runs, dust nibs and excess orange peel from paint and gelcoat prior to compounding. Use for scuffing the blend area prior to painting. Remove runs, dust nibs and excess orange peel from paint and gelcoat prior to compounding. Suggested backup pad (part number 05778) and interface pad (part number 05777).